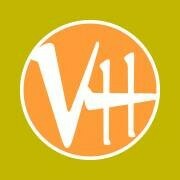 Start taking classes at VH Spa at Hotel Valley Ho and other studios! Hotel Valley Ho is the hip hotel in Downtown Scottsdale. Built in 1956 and reopened in 2005, it is classic in mid-century modern design. Go to their fitness classes at the spa today! Great gym! Needs better direction on where to park and enter. Great space and has multiple different gym equipment to use and space! Hotel Valley Ho is a beautiful place too. Amazing locker room! Very clean equipment.